Not being able to have a dog is one of the only downsides of our great little apartment here in San Francisco. But between our busy jobs and travel schedules, the hubs and I have conceded it’s probably just as well for now. Eventually we’ll have more time and space for a dog of our own, but in the meantime we’ve made several furry friends on Instagram to fill the void. 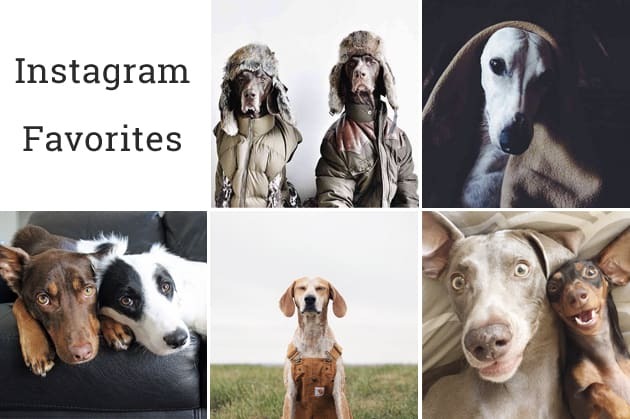 There are so many adorable ones out there, but I’ve grown particularly fond of these five Instagram dogs whose owners are not only wonderful pet parents but talented photographers as well. Consider this your warning though… Side effects of following adorable dogs on Instagram include frequent bouts of forefinger petting, cell phone smooches and the unrelenting urge to show them off to complete strangers who just happen to be sitting next to you. Have furry friends on Instagram too? Share your favorites below! @Andrewknapp does ‘where’s momo’ pictures and he can be pretty hard to find. Of course if you want just cuteness, there’s @buddyboowaggytails I think that’s the official page, two Pomeranians that are sooo cute. thiswildidea is one of my favorites seriously so awesome! Ha! I thought I was the only one that followed dogs on instagram…glad i’m not alone ;) My fave is Leroy – @lifewithleroy He’s based in SF, so lots of fun spots included! I love @mommasgonecity :) It isn’t 100% dogs but she posts at least one super adorable napping photo of their new pup with one of her babies. It’s the cutest thing I’ve ever seen.